1. 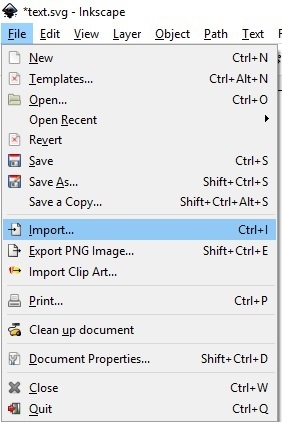 In Inkscape's main menu select File | Import, and in the Select file to import dialog box that appears, navigate to and select the pattern image file. Then click on the [Open] button. In the Link or embed image dialog box that appears, with the embed radio button set, click on the [OK] button. The fill pattern will appear in the drawing area. 2. In Inkscape's drawing area, select the bitmap, then in the main menu, select Object | Pattern | Objects To Pattern. 3. Select the object you want to fill with the bitmap image. If the Fill and Stroke dialog box is not open, right-click inside the selected object. 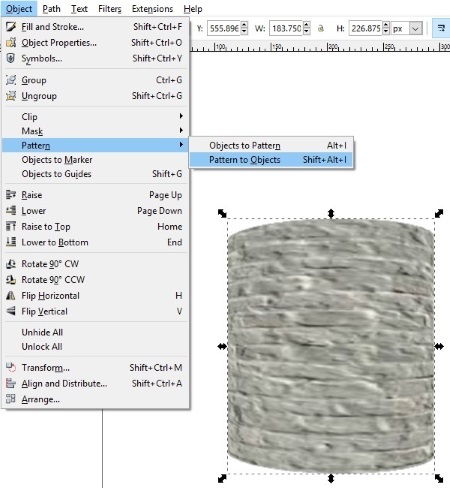 In the Fill and Stroke dialog box select the Fill tab, then click on the [Pattern] button. The [Pattern] button is the small diamond filled square. 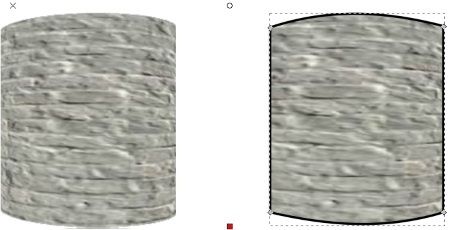 The pattern appears to fill the selected object. In the Pattern fill text box, you'll see the name of the pattern. Use the Edit paths by nodes tool to scale and position the pattern on the object.